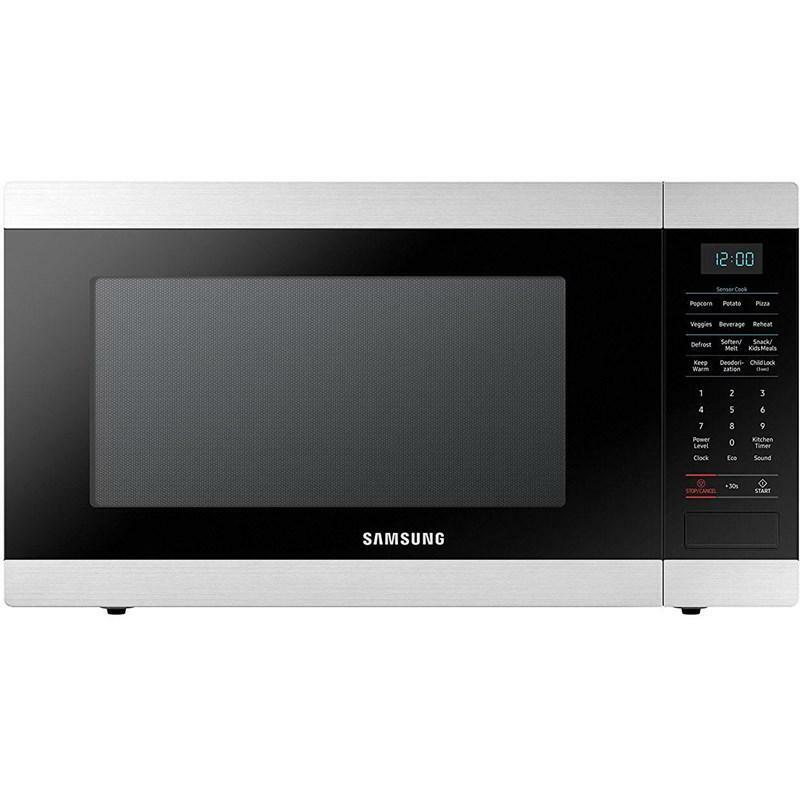 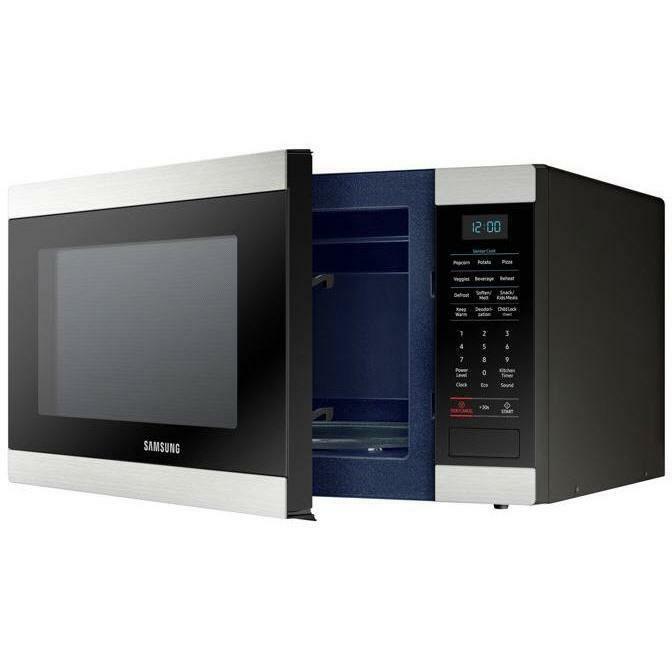 This Samsung countertop microwave features a ceramic enamel interior, a sensor cook and preset cooking options. 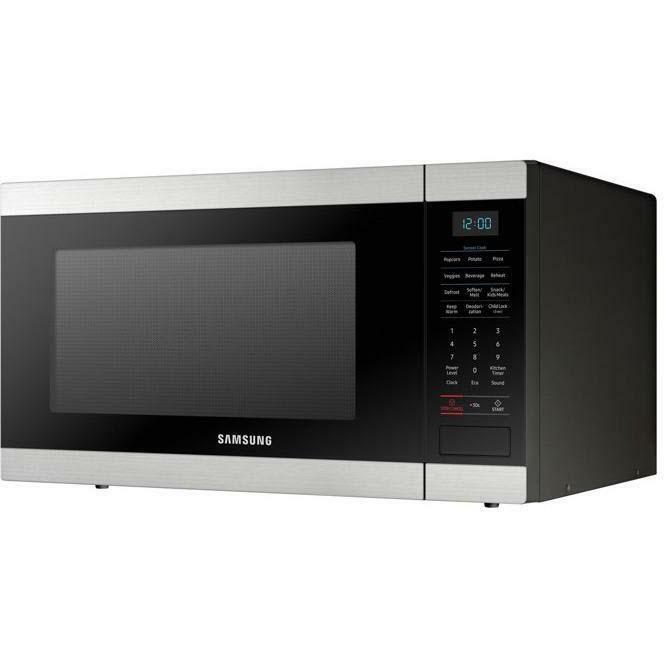 Samsung ceramic enamel interior is scratch resistant and easy to clean. 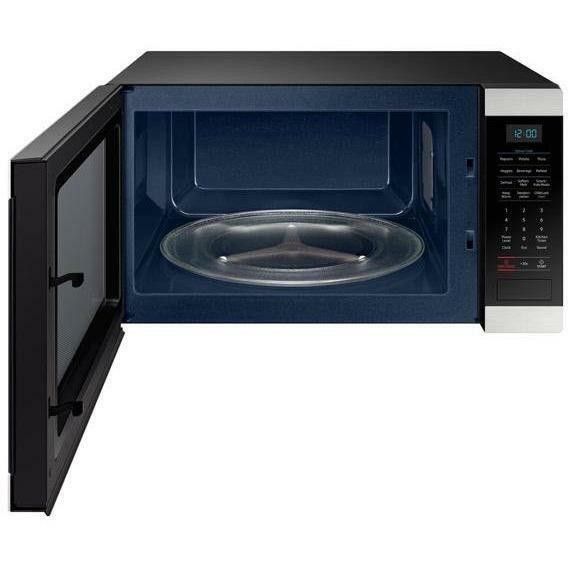 This durable ceramic enamel interior provides a polished surface that’s easy to maintain. 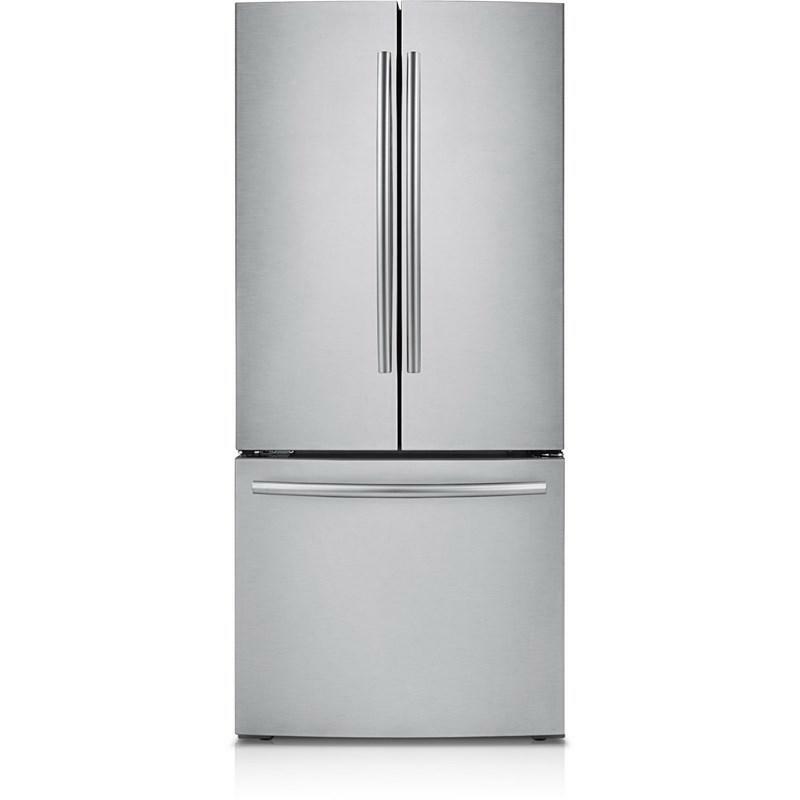 Effortlessly remove grease or oil from surfaces and protect against scratches that occur from daily use. 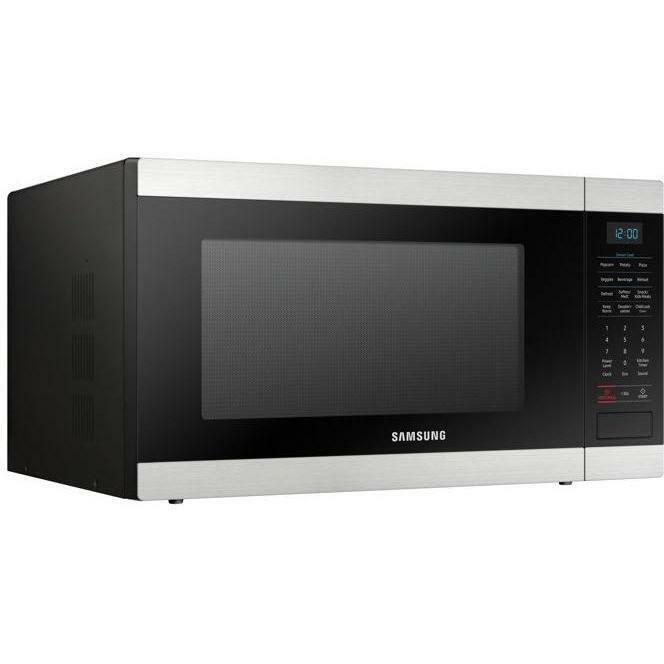 Even at rest, conventional counter top microwave use power to maintain essential functions. 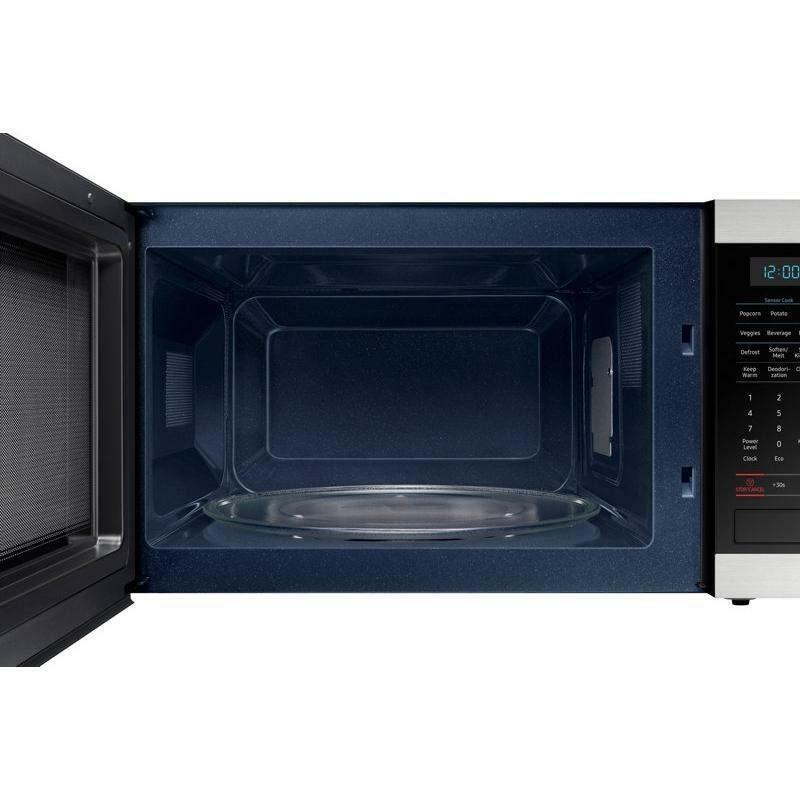 The Eco Mode button conserves power by turning off the display when not in use and is more convenient than unplugging the microwave when not in use. 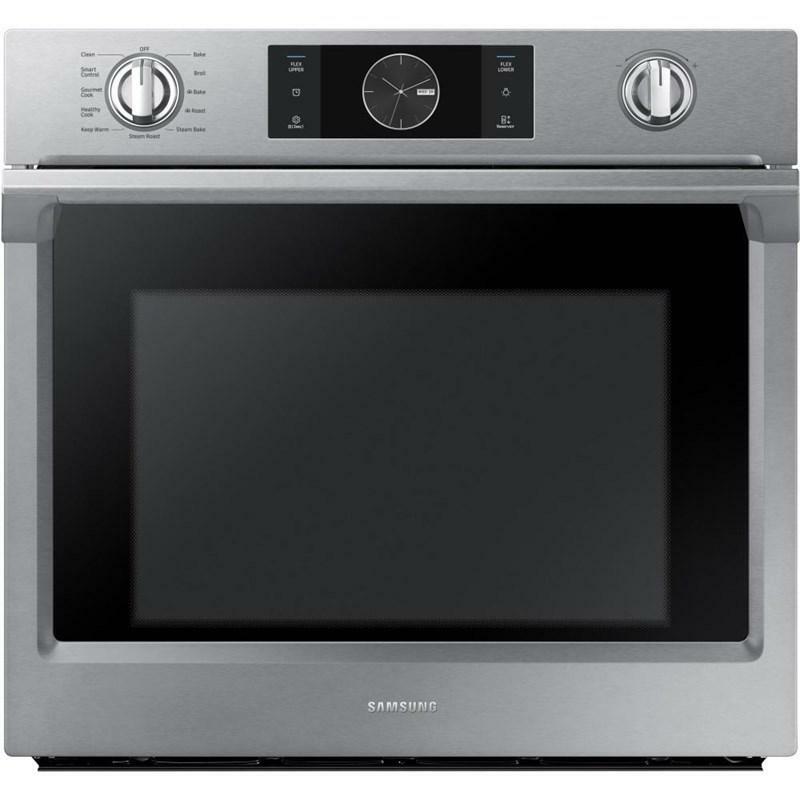 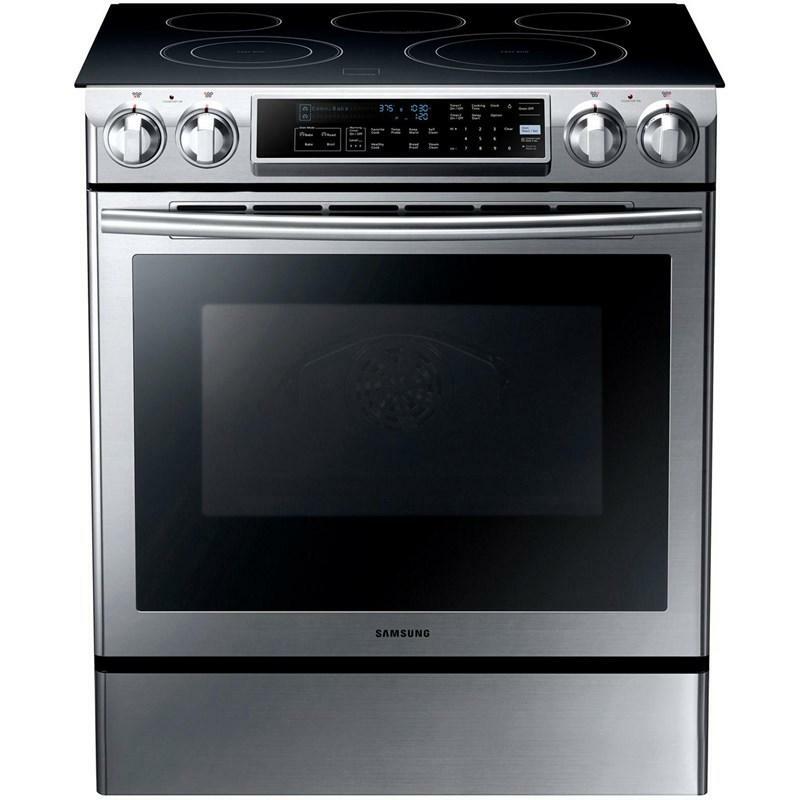 Samsung slide-in electric range features a 5.8 cu.ft. 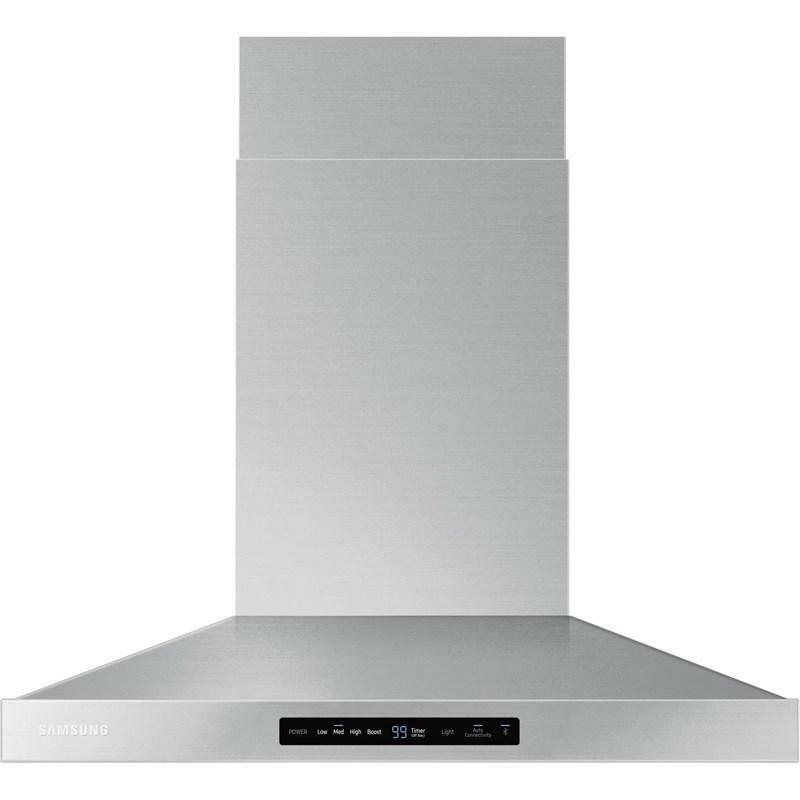 oven capacity, self+steam clean, hidden bake element and dual convection system. 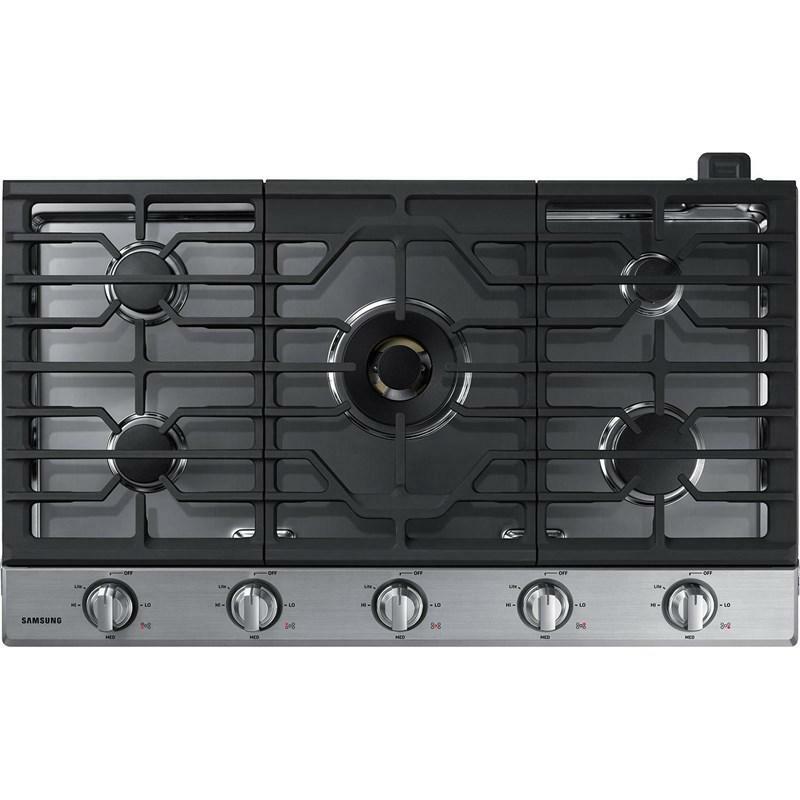 Its flexible 5 element cooktop with double elements accommodates muliple pan sizes. 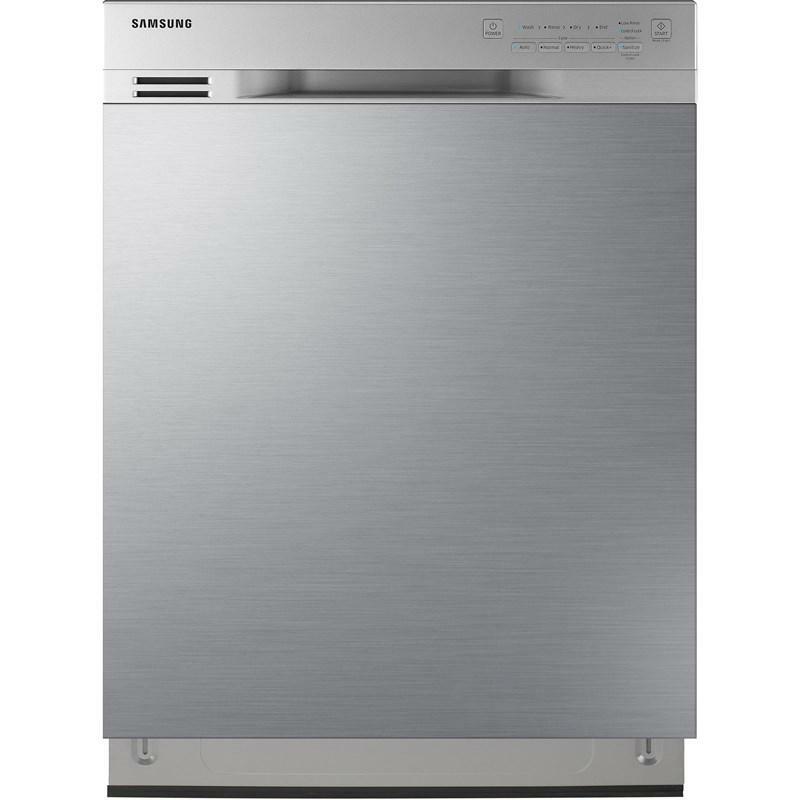 This Samsung front control dishwasher features a digital water leakage sensor, hard food disposer, adjustable racking system and can accommodate up to 15 place settings.